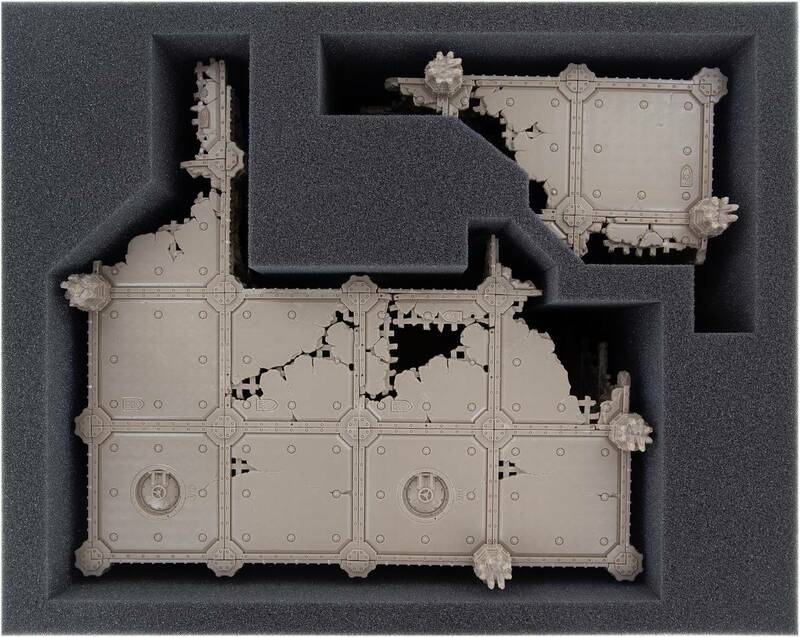 This Full-Size foam tray has 2 compartments to safely store 2 parts of the Sector Imperialis ruins from the Kill Team Starter Set. 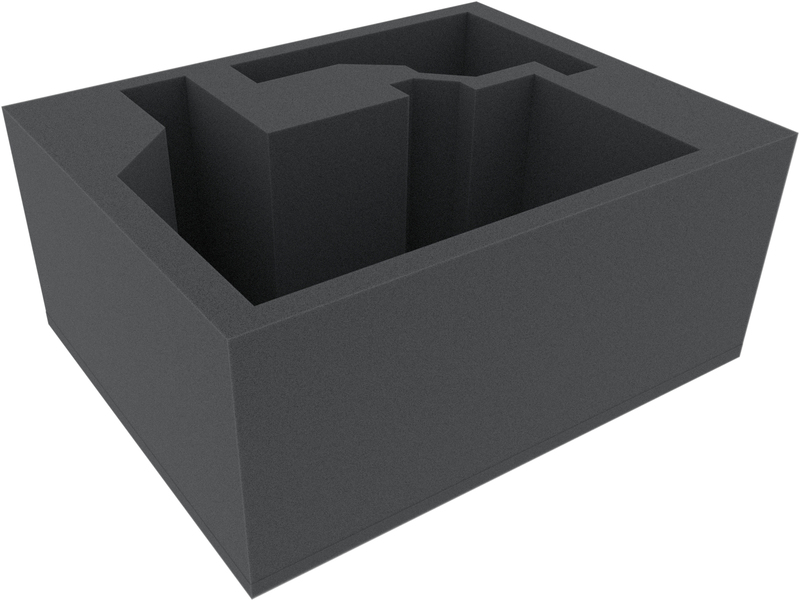 The base is made of particularly strong foam and is therefore only 5 mm thick with this tray. 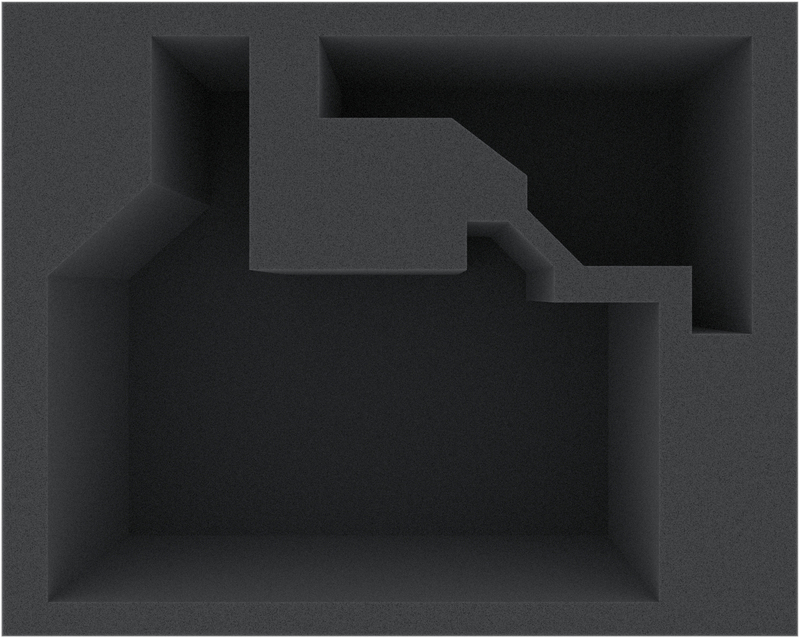 The foam tray has the dimensions: 345 mm x 275 mm x 150 mm total height (145 mm usable height + 5 mm foam base).